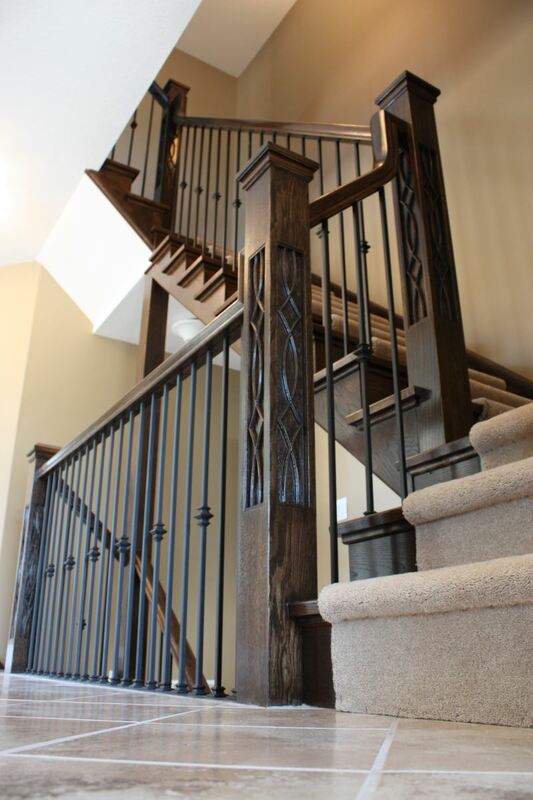 Located in Guelph, Ontario, Flourish Design Elements specializes in creating architectural wood carvings such as newel posts for banisters, corbels, fireplace surrounds and wooden appliques. We use only the best grade hardwoods from North America and beautiful exotics from around the world, including South America and Africa, to manufacture these stunning products. Our mills focus on “green” harvesting to ensure only the proper trees get harvested and that more trees are planted for future growth. Each run of product is cut and sorted from the same lift lot of lumber, then book-matched for colour and grain. In addition to members of the stair and railing industry, we also work with interior designers, architecture firms, home builders, and private homeowners. Our newel posts have been incorporated into designs by Tori Spelling, Lynda Reeves and were featured in the 2012 Princess Margaret Show home. Our products are manufactured using the highest grade materials available. The majority of our stair and railing components are made from solid wood, giving every final piece not only an aesthetic advantage for colour matching, but a structural advantage as well. Our colour matching process is very precise. Our stock woods include four core species such as Pine, Maple, Red Oak, and Poplar (for painting). These materials are sourced from environmentally managed forests in North America. Exotic woods are imported to accommodate special requests.